The clear way to straighten teeth. Are you feeling uncomfortable with your smile yet you don’t want to use metal braces? Invisalign gives you a better solution. This is a clear alternative to metal braces. Traditional metal braces are visible to the whole world to see, which isn’t suitable for all teenagers and adults. Here is an overview of Invisalign. Invisalign consists of a set of clear, plastic aligners that help push your gapped or crooked teeth into the perfect positions. The aligners use controlled force to push the teeth gradually into position over time. The procedure uses aligners made from USP Class VI medical grade polyurethane resins. This plastic material has passed all the regulatory requirements for them to be used in the mouth. This tells you that the plastic used in making the aligners is safe and non-irritable. What Happens During the Invisalign Process? During your first visit, the dentist uses 3D computer imaging technology to determine a complete treatment plan from the initial position to the final desired position. The first models are used to prepare custom clear aligners for you. The dentist creates a series of invisible aligners that are made to fit your teeth. You wear the aligners for two weeks, after which the aligners will have pushed your teeth to a given position. After two weeks, the teeth will have adapted to the new position and you will need a new set of aligners to push the teeth further. After two weeks, the dentist will give you a new set of aligners in the series to push your teeth more. This will go on until your teeth are in the desired position. How often must you wear Invisalign aligners? You need to use the aligners day and night for 22 hours a day. You are required to remove them only when cleaning or eating. My visit was very timely and their attention to detail was satisfactory. I highly recommend the staff and doctors at TLC Dentistry and hope you will have the opportunity to be treated with their loving care. These benefits make Invisalign suitable for teens and adults who feel shy wearing traditional braces. The problem with traditional braces is that everyone knows that you are wearing them. As an adult, this can cause self-esteem issues. Invisalign aligners are clear and no one will realize you are using them. You can remove the aligners when you are eating, flossing, or playing contact sports. This allows you to enjoy your food and maintain proper oral hygiene. 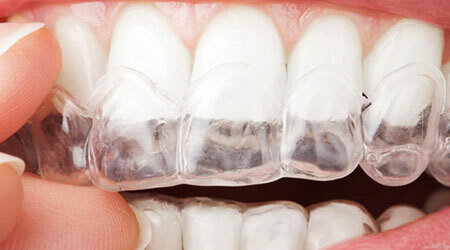 The plastic used to make the aligners is soft and comfortable on your teeth and gums. This means you won’t have to spend most of your time in the dentist’s chair for adjustments. TLC Dentistry of Salinas has proper training to take you through the Invisalign process successfully. If you think you are the right candidate, you need to talk to the dentist to confirm the diagnosis and determine whether Invisalign is right for you. A visit to the TLC Dentistry clinic will be a good start to the Invisalign process.